A custom designed Italian wedding cake will be prepared for you and your wedding guests. Several options will be available for you to choose from. We can send you several photos that you can decide what suits you best. Creating a cake for a wedding is both an art as well as a science. It takes quite a bit of experience and time to create one. 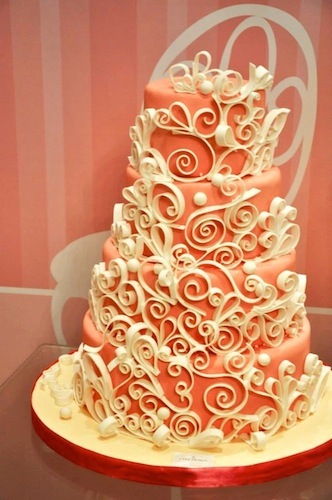 Often more than one baker will work on the same cake to be able to produce it in time for the wedding that will take place.